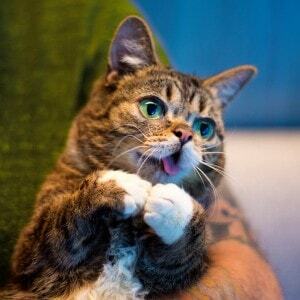 I never met Lil BUB in person, but I, like hundreds of thousands of others (BUB currently has more than 650,000 Facebook fans), fell in love with this amazing little cat via photos and videos. 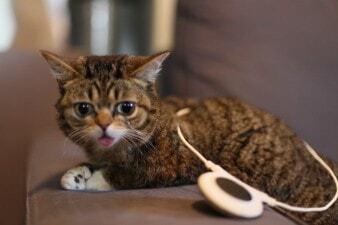 I hope to some day meet Lil BUB in person. She conveys a level of charisma on the printed page and in photos and videos unlike anything I’ve ever seen. I can’t even imagine what it must be like to meet this special little cat in real life. 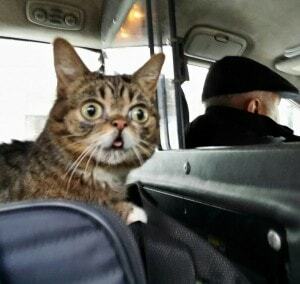 Since an in-person meeting is not in the cards right now, I had an opportunity to do the next best thing: I got to ask Lil BUB’s “dude,” Mike Bridavsky, some questions. 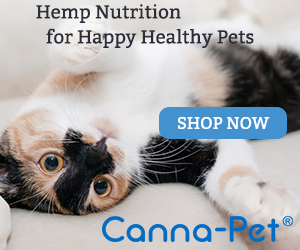 Click through on the links to take you to each individual segment. Mike talks about how he first met BUB, his other cats, and how BUB has changed his life. Mike talks about BUB’s public appearances, how he makes sure she’s always comfortable, and about how she inspires everyone she meets. Mike talks about BUB’s physical challenges, the treatments that have helped her, and what comes next for BUB as the two of them continue their amazing journey. All photos via BUB’s Facebook page, used with permission.